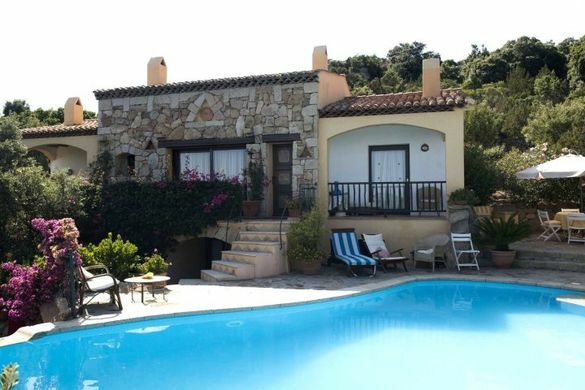 Sardinian Places is delighted to offer customers more flexibility with villa holidays, through its introduction of new mid-week arrival options at a selection of properties in northern Sardinia. With the opening up of seven-night, Tuesday to Tuesday stays, customers can now take advantage of great value midweek holidays with cheaper flights into Olbia, departing from Gatwick, Heathrow, Manchester, Luton and Bristol. Located in the picturesque Galluran countryside where undulating hills meet rugged mountain peaks, Villa Maria is a beautifully traditional, large family villa with private, free-form pool. It’s also just 7km from the glamorous Porto Cervo, and quaint town of San Pantaleo. Prices from £539pp – 7 nights (£190 pp saving), including flights and car hire. Located next to Villa Maria, (see above) Lu Triuzzu with its private pool and surrounding mountain views, features within Sardinian Places’ Premium collection of villas. Built around an existing rock, which forms its centrepiece, it is a stand out property, offering high quality accommodation with natural materials used throughout. Prices from £655pp – 7 nights (£234 pp saving), including flights and car hire. A simple yet delightful property, Villa Oltremare is perfect for couples or small families looking for a quiet and private Sardinia holiday. Located just a short walk from Lake Liscia in a more central area of the north, it’s a wonderful base from which to explore the surrounding countryside, along with the villages of Tempio and Luras. Prices from £481pp – 7 nights (£208 pp saving), including flights and car hire. A stunning new-build property with spectacular vistas across the Costa Smeralda countryside, Villa Renza boasts a modern yet homely decor, with touches of shabby chic, plus plenty of outdoor space for al fresco dining. Its infinity pool is a wonderful place from which to soak up the views. Prices from £625 pp – 7 nights (£225 pp saving), including flights and car hire. A converted 17th-century monastery, Casa Cristiana is full to the brim with character and an age-old charm and is conveniently located close to Alghero. Set in an olive grove, it offers a shaded terrace, roof terrace and a private pool to soak up the garden views and Mediterranean sunshine. Prices from £449 pp – 7 nights (£160 pp saving), including flights and car hire. The ideal choice for couples looking for a romantic and homely escape, Casa Lluisetta is a beautiful countryside hideaway, yet still just 4km from the beach and restaurants at Alghero. The large private pool is perfect for cooling off in the Sardinian heat, with spacious garden area and olive and citrus groves. Prices from £1046 pp – 7 nights (£200 pp saving), including flights and car hire. Prices from £525 pp – 7 nights (£185 pp saving), including flights and car hire.